Room 5: Have you filled a bucket today? Room 5 is currently learning about ‘bucket filling’. 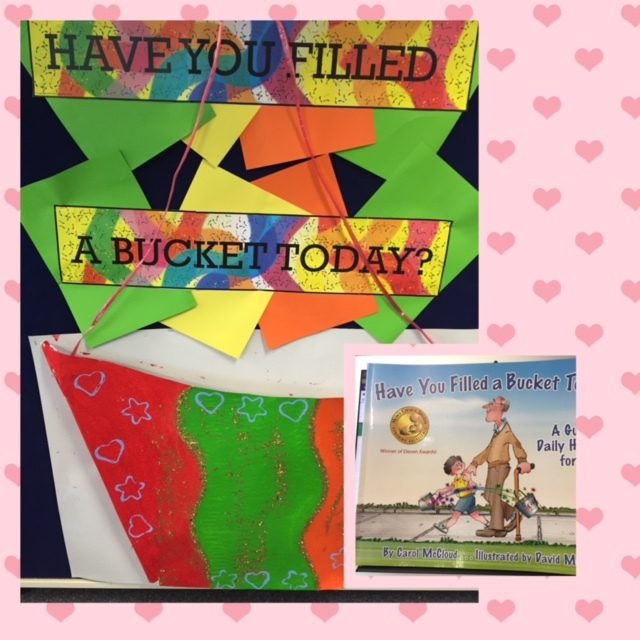 This is based on the book “Have you filled a bucket today? By Carol McCloud. The story tells how everyone carries an invisible bucket around and how we can be bucket fillers. We can fill these buckets by doing nice things – saying hello in the morning, helping others and being kind to one another. When we fill someone’s bucket, we also fill our own. We are encouraging Room 5 students to be bucket fillers at home and at school. If your child does something nice and fills a bucket, please write it in their notebook – as these will be recorded in class and used to fill our class bucket. Once our class bucket is filled Room 5 will be rewarded with a class surprise.